Welcome to our tutorial: "removing red eyes." First of all: Select this image from the installed examples. Also you can download the picture from our site. Click on the left drawer for using tools. Now select the "Red Eye" mode by clicking on the button with the same name. To remove the "red eyes" we select the big flat brush by clicking on it. 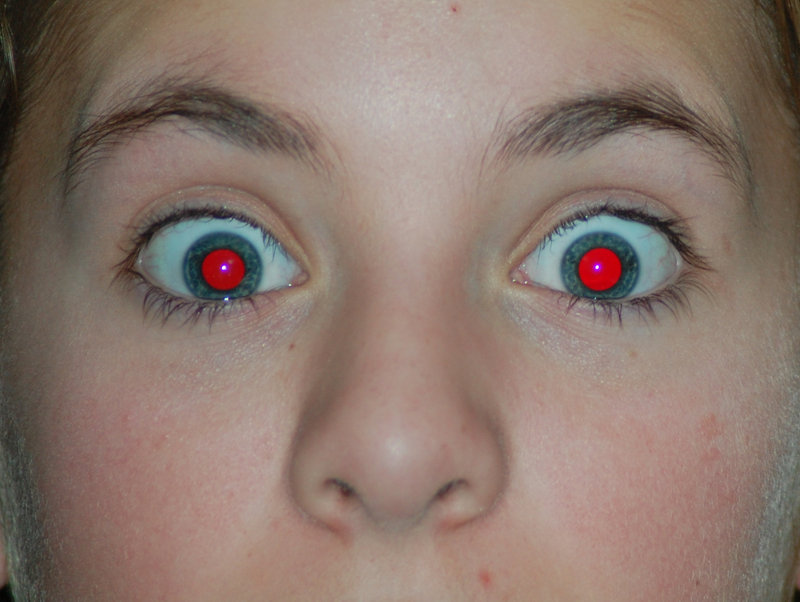 Move the brush with the mouse to the first red eye. Click the left button to paint on the red eye. Move the brush to the next red eye and paint again. That was all you have to do to remove the red eyes.